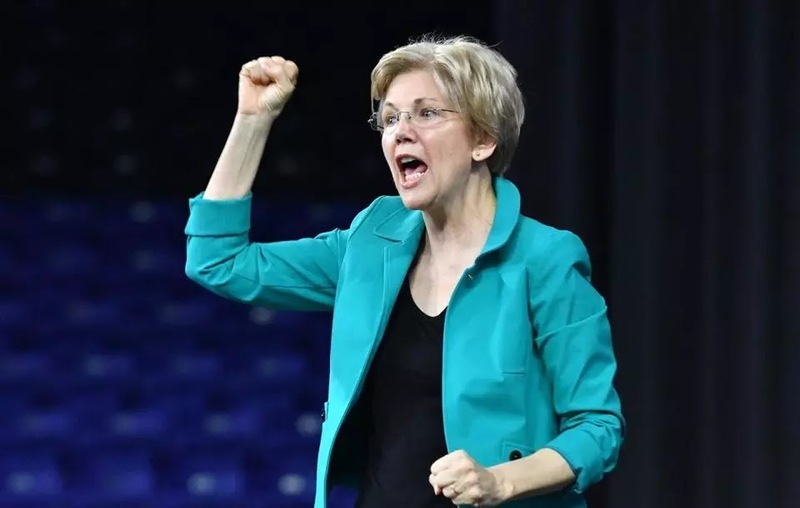 Sen. Elizabeth Warren, D-Mass., has just proposed an annual "wealth tax" on the richest Americans. It would be a tax of 2% per year on the wealth of anyone who's wealth falls between $50 million and $1 billion. For those with wealth over a $1 billion, the tax would be 3%. This is a remarkably aggressive tax proposal because of the annual nature of the tax and would severely reduce the wealth of those taxed in just a decade. It would destroy over 2.75 trillion dollars in capital investment in just 10 years, according to Warren's own numbers. And would put those funds into the bureaucratic government machine that wastes money as all central planning money does. And the wealthy shouldn't think they will be able to escape by renouncing their U.S. citizenship. The economist advising her on this tax is University of Berkeley Professor Emmanuel Saez. He is a frequent collaborator with the very confused socialist Thomas Piketty. Saez, who believes that incomes should be made more equal, was paid more than $400,000 in 2016 and was in 2014 amongst the top 1% earners at Berkeley. What is wrong with being wealthy? Wealth is a good thing. And where does this communist expect all this liquidity to come from? The sky?!? "And the wealthy shouldn't think they will be able to escape by renouncing their U.S. citizenship. So, this is the kind of thinking we have here in the "land of the free"? Personally, I thought freedom meant being able to do with one's property as one wished. Guess not. Idiots on Twitter will support this also. Just like income tax, it's only a matter of time until the wealth tax applies to all those with net worth of $100k or more. Essentially a move towards more and more confiscation of property. "The ultra-rich have rigged our economy & rigged our tax rules." If this were indeed true, then her comment shows a remarkable lack of awareness, or just brazen ingenuousness. Such people could not have done so without the cooperation of the legislators. Odd to lay all the blame on the pigs feeding at the trough; if there were no trough, then the pigs wouldn't be lined up.